As a game designer and writer who has traveled widely, Tyler Omichinski brings a lot to the table. I got to spend a little time chatting with him about his writing life, his most recent book, and whether he prefers real books or e-readers. How has your work in game design influenced your writing? Two main ways. The first of all is that when you’re doing things like writing up rules, you need to be extremely specific and efficient. It’s really almost technical writing at that point, and it teaches some great skills. I’m not a particularly purple writer when it comes to my prose, and this kind of thing really forces you to look at your writing with a brutal sense of efficiency. The other thing is that same old focus on the shape of stories. A good game should, functionally, be telling a story, just one that emerges from gameplay. Risk has you waging war against your friend, and every time a story arises from that. When I’m designing a game, I’m trying to keep an eye on telling the right kind of story when that happens – with ReAnimator, for example, we wanted to keep the stress piling up, while also giving a general sense of unease. That was accomplished through forcing the players to make an increasing number of choices between suboptimal choices, reflecting what happens to a lot of protagonists, while also having the subplot cards dealing with some unsettling things here and there. 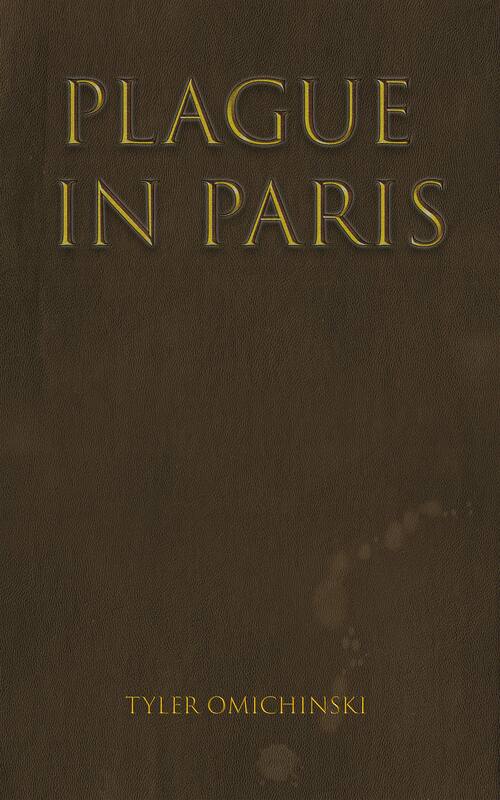 I see that your book takes place in Paris. Have you ever been there? Yes I have! I’m also a huge fan of the city. I was there for about three days while living abroad, and something about the city just grabbed me. For this piece I also read a ton: Robb’s Parisians, a bunch of books about the history of the city, Robb’s Strangers (about LGBT people throughout the Victorian Era) and more. Then I promptly went and did an alternate history so if I got anything wrong, I could claim that it was on purpose. A combination of a couple of factors. I’ve gushed about Robb above, he’s a phenomenal historian that sometimes covers these amazing niches of history, weaving masterful narratives with these anecdotes that give you so much information and makes you feel like you’ve really experienced something. The next part was to try to put my mind in the struggles that are going on for some people in our own world right now. I’m an out bisexual and I’ve faced my fair share of discrimination, but at the same time we have people literally being killed for being like me elsewhere in the world. Even not that far away if we think about Orlando. I wanted to try to put myself into that experience, to try to figure out what someone would do in order to avoid the worst of that. To really try to understand when coming out wasn’t even really an option for people. To all of that, I really just wanted to write about Paris and monsters. It all wove together pretty well. You’ve done a lot of work in the board game industry. What was your favorite board game growing up? Probably Trivial Pursuit: I’m from a family of competitive know-it-alls (including myself) and we would all get really into that game. It’s fascinating how much useless knowledge like that can really encourage you to be a writer. You want to figure out “Well, why is that random factoid a thing,” then you realize that there’s a story behind it, and a story behind that. Stories the entire way down. Probably American Gods – it was there for me during an incredibly dark time in my life and it was like the perfect balm. It really is one of those books that you can go in looking for something and probably find it. There’s so much going on in there, and the prose is so beautiful. That being said, it is definitely fighting against something like Name of the Wind or Three Parts Dead. Now that’s a list. Margaret Atwood, Salman Rushdie, Neil Gaiman, Jeff Vandermeer, Max Gladstone, Cassandra Khaw, Caitlin R Kiernan, Ben H. Winters… I read a crazy amount. Like, three or four books a week. It’s so hard to pick just a few, but at some point it becomes way too long and unwieldy. My friends have long ago learned that if they ask for a recommendation, I’ll just keep piling books on them until they politely tell me to stop. Then I’ll go for a bit longer as I think of a few more ideas. My favorite places to write are either lying down on the couch, or in a bar. I need a lot of noise around me to get my best work done, and I do this weird thing where I don’t usually look at the screen while I’m typing. I’ll usually be staring off into space, or my neck at a weird angle as I look at the ceiling. Almost like the story has to sneak up on me, and I’m trying to make it easier for it. Most of my first full-length book that I’ve finished was written in the back of a bar while my friends played pool. I’d sit there watching the pool game and typing away. For a process – it really seems to be different for each project. It’s almost like each one needs something specific to bring it into the world. Queen in Yellow was a lot of Lou Reed and other punk like music written in the middle of the night in bars. Wild Bloodlines was written listening to Celtic instrumentals during the afternoon and was almost done in a single, mad, fury of writing. Plague in Paris was done with classical music in short, focused, attacks. Each session was a few hundred words here or there, and the entire thing had an outline and a structure to it. I’ve never been able to recreate that process for anything else, but that’s basically the way it has been for everything for me. Oh jeez. Both? I love the convenience of e-readers, but there’s nothing beating a book. I’m also a collector of real books, so that similarly helps me out. But, I have friends and colleagues around the world so I love being able to read something from them the instant it comes out. You might have to come back to me on this one – I’m not sure if I can really choose. Since I was twelve, so what’s that, 17 years now? That’s been quite awhile. I still have the first “story” I wrote as a kid, complete with the regular kid deus ex machina at the end. It was about the Elves going on strike on Christmas, and then I think Santa replaces them with robotic transforming snowmobiles. Even as a kid I was writing some pretty weird stories. Yes, pretty much always. I have a book called The Queen in Yellow that I’m doing another round of edits on after it went through some agents who gave me some nice feedback but it wasn’t quite for them. I have a ghostwriting contract that is in the works, and I’ve started another book that’s currently called The Last Witch and is still in its first draft. You can find Tyler’s book on Amazon. Make sure you leave a review to tell him how much you love it! You can also check him out on Facebook, Twitter, or his website at www.omichinski.com.